Clark Stevens (’72), Jimmy Tittle (’49), A. Don Drennan (’58), Dr. Gary McCaleb (’64), Rudith (Frazier ’65) Drennan, Joyce (Stevens ’74) Cole and Jim Cole at Stevens Park. The late Dr. John C. Stevens (’38) was an unabashed patriot who likely never heard a march he didn’t like. So he had to be smiling somewhere Nov. 10 when Abilene Christian University’s Big Purple Band could be overheard playing a suite of music honoring each branch of the U.S. military, with Tchaikovsky’s 1812 Overture thrown in for good measure. The tunes, performed during a noontime practice following the university’s annual citywide Veterans Day Tribute in nearby Moody Coliseum, rode the wind across campus and were the perfect unintentional background music for the dedication of ACU’s newest contemplative space. John C. and Ruth Stevens Park – an attractively landscaped half acre south of Anthony Field at Wildcat Stadium, west of the Teague Center and north of Moody Coliseum – is a symbolic addition to the campus the couple loved. The xeriscaped area is bisected by a paved path over which a Gameday procession of student-athletes, cheerleaders, band members and fans of all ages traverse in a new tradition called Wildcat Walk each football Saturday when the team plays at home. “Wildcat Walk is a living processional of loyalty and friendship,” McCaleb (’64) said of the sight of an ACU team and its fans headed north from the Campus Mall to the stadium via Stevens Park and Wildcat Way. John (’38) was ACU’s eighth president and professor of history for 50 years. A bronze plaque in the park describes him as a minister, a decorated World War II and D-Day veteran who served as a U.S. Army chaplain, a civic leader, humorist and author. 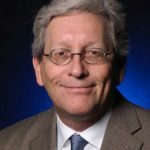 He led ACU’s transition from a college to a university in 1976. He died in 2007. 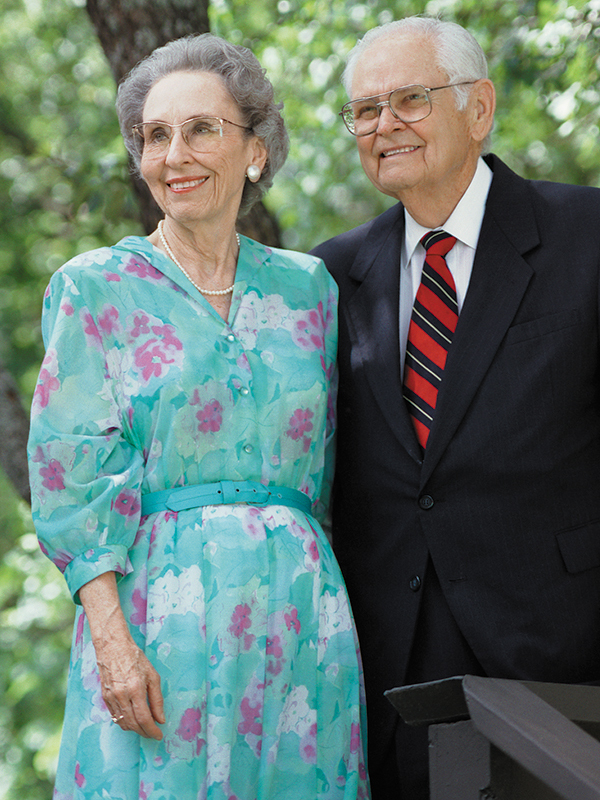 He was married for 57 years to Ruth (Rambo ’46), a teacher, community volunteer, musician and supporter of the arts who was a respected first lady of ACU. She passed away in 2006. Their two children – Clark Stevens (’72) and Joyce (Stevens ’74) Cole – spoke at the dedication, which was attended by all of the honored couple’s grandchildren and many colleagues and other friends. 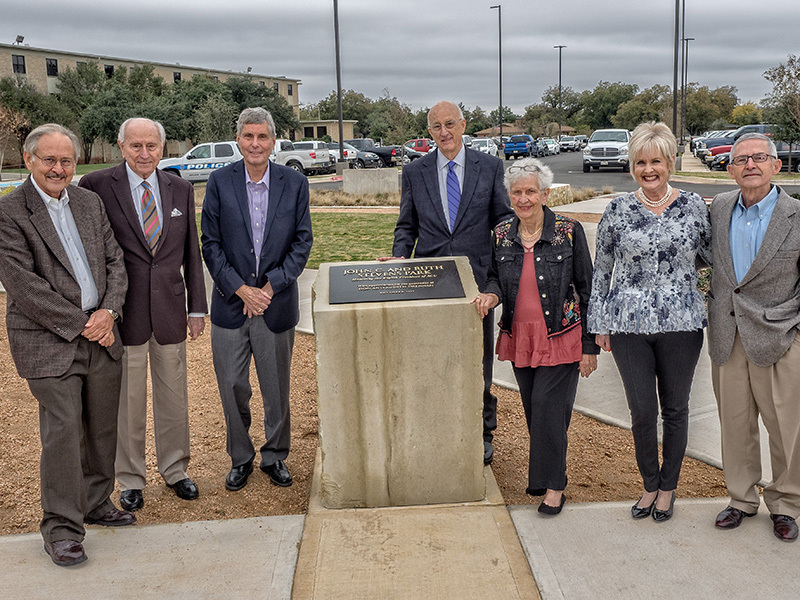 The words Lifelong Loyalty and Friends for Life are etched on a circular piece of pavement in the middle of Stevens Park, a project funded by a generous gift from former longtime ACU administrator A. Don Drennan (’58) and his wife, Rudith (Frazier ’65). The park was designed by Abilene architect Jimmy Tittle (’49), a longtime friend of John and Ruth. More than 9,000 ACU graduates have diplomas bearing Stevens’ signature while he was president from 1969-81. Now they and countless others have a place on campus to remind them of a beloved couple – whether they realize it or not – whose legacy they inherit and footsteps they follow.